Some time back I commented on rumors of a Sprint takeover by Google and at the time many thought the idea was crazy. Fast forward a few years, tens of thousands of Android devices and a Motorola Mobility acquisition later and now Google is reportedly in talks to launch a wireless service with a number of companies including Dish Networks. As you may recall, Steve Jobs too wanted to launch a wireless network and if Google is seriously exploring this option this means Apple has to be doing the same. The next frontier of advertising revenue for Google is mobile and if carriers and Apple decide to lock the company out of this lucrative market (even partially), then they have no choice but to own the wireless pipes. Mobile is not your father’s tech space. Over the past two years, profits from the top eight mobile vendors has risen from $5.3 billion to $14.4 billion for a whopping increase of $9.1 billion and all this while over 67,000 people have been laid off in the technology. How is this possible you ask? I posited a similar query two months ago regarding Corning’s shares losing value – even while they supply Gorilla Glass to much of the booming mobile market. Google has a new heavy metal-based TV commercial which has a Halloween undercurrent. The ad touts the $249 Samsung-made Chromebook as being smaller, better on batteries and good for “scaring off viruses.” It goes on to discuss its lack of phantom files and crashes. Although the video has had under 100,000 views I can see it going viral and perhaps adding a zero to that number. What is unclear is how much demand there will be for a cloud-based laptop which seems to ape the look of an Apple computer at a fraction of the price. We have seen the multi-billion dollar communications market get disrupted as the phone met the IP network. In the video below Phil Edholm describes how with WebRTC, the phone meets the web. As he describes, even though IP communications has been around for more than a decade, there hasn’t been a fundamental change in how we communicate. We still hang our phones off servers which allow communications to take place. Major Flaws in Ballmer's Apple-Fighting Strategy? It really is shocking that Apple has pulled so far ahead of every other device maker with designs that are more art than technology focused. 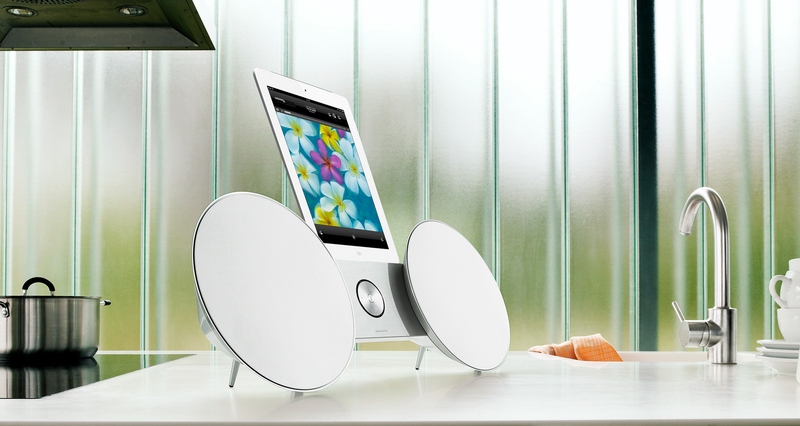 For those of you familiar with Bang & Olufsen products (BeoSound 8 pictured above) you know in some ways Apple’s designs are a copy of this iconic audio manufacturer meaning Apple didn’t entirely invent cool looking consumer electronics devices and others should be able to compete effectively in the space. I am sure Microsoft agrees but as they’ve watched Apple become the cool and fast growing computer company they used to be, they determined they need to be more like Cupertino. This of course is the reason the company decided it was more important to design new hardware than keep their partners churning out directly competitive products happy. Google has been a steady sponsor of free WiFi in airports and subway stations for some years now but Microsoft has decided such sponsorships make sense for them as well. Specifically, the company is paying Boingo for the privilege of supplying free wireless access in parts of San Francisco and Manhattan. The reason for the generosity has to do with Redmond celebrating Windows 8 and looking forward to introducing the new Windows Store for Windows 8 to the app builder community. Apple has become so successful that journalists seem to go in for the kill if a new service doesn’t work perfectly. To some degree the company has executed so well, this is to be expected. The latest issue is the company’s decision to replace Google maps with its own maps in iOS6. Users have complained about less than perfect directions in some cases as well as some satellite images which are warped and frankly quite odd looking. For over a decade the communications industry has been waxing poetic about the potential for location based services or LBS to change the world. The idea was mobile commerce would be unleashed as coupons would be flashed in front of users as they walked near a coffee shop or fast food restaurant. That future is here to a certain degree but the one missing ingredient is trust. You see users more than likely want curated offers. The iPhone 5 is selling at retail stores today to millions of people who are obviously wealthy. After all an unlocked 64GB model which is unlocked runs $849! Some people are so bent out of shape about how much money Apple is making from the launch of this phone, they are protesting. While most of the world is focusing on Apple, what may be interesting to note is in India there is a new and usable tablet which starts at just $35. As Gary Kim points out, the DataWind Aakash UbiSlate 7Ci is a super-cheap tablet that will attempt to connect every student in India to the Internet. The tablet has a 7.5 inch display, a front facing camera and surfs the web about as fast as an iPhone - probably not as fast as the iPhone 5 though.